We bring speech and language technology to web and mobile apps. Our system automatically transcribes human speech into text in several languages. We have developed a special engine that can search in large archives of speech. 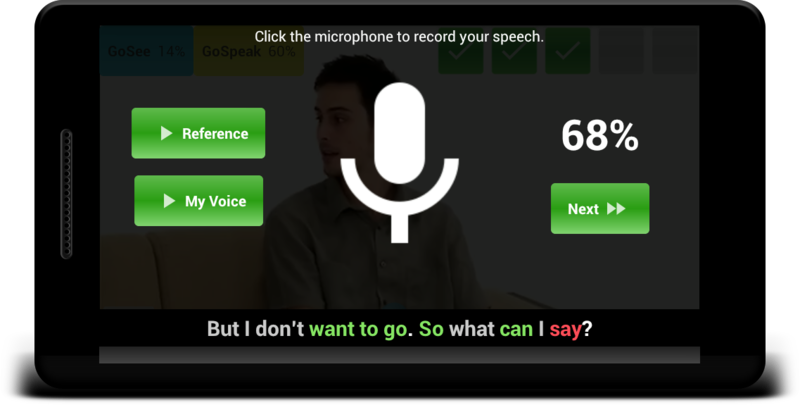 Do you need a speech technology in your app? Then, try our Speech API! Our human transcribers create professional transcription of audio/video data. Do you need to record, process or host any video lectures? Visit SuperLectures website. We have built plenty of applications for a variety of devices and are ready to build another one. Convert your spoken data into text! 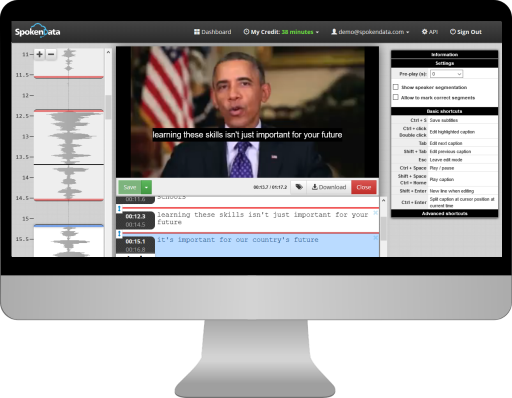 SpokenData transcribes your audio and video files. It offers an interactive transcription editor, API, automatic and human transcription services. 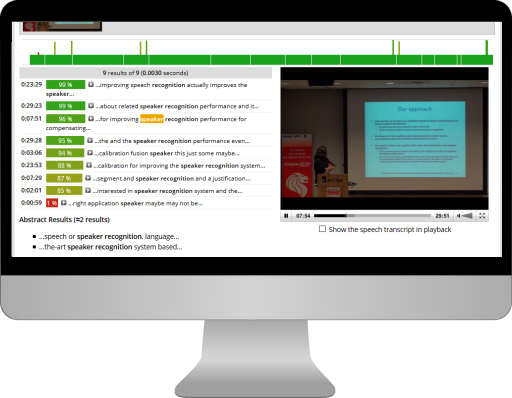 SuperLectures takes full care of your video from recording, processing and hosting to advanced video analytics. Get any audio into your smartphone with three clicks! 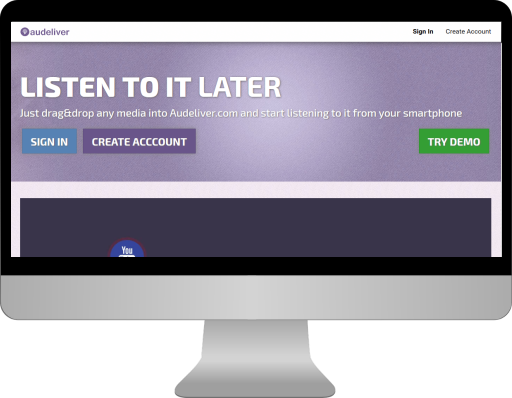 Just drag&drop any media into Audeliver.com and start listening to it from your smartphone immediately. Creating podcasts is as simple as possible. 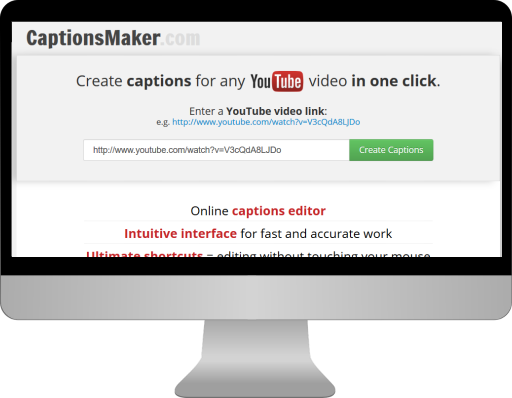 CaptionsMaker helps you create captions for any YouTube video in one click. Just pass a YouTube video link and start typing the subtitles.